For some reason, garden seats and benches are one of the most hotly searched-for items of garden paraphernalia. 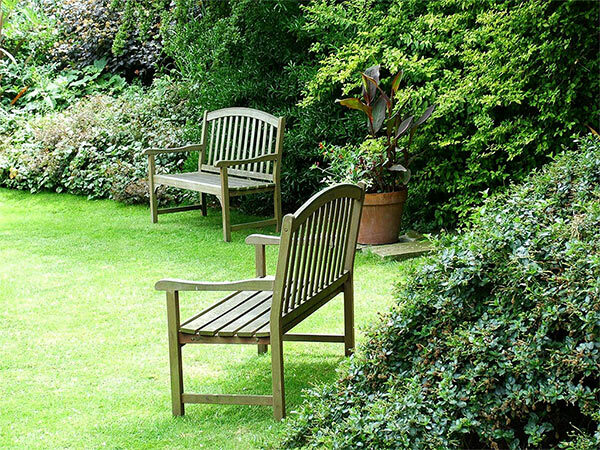 Real-life garden visitors often remember more about the seating than the planting style, and virtual gardeners seem to be oddly obsessed with viewing picture after picture of garden chairs. Garden seats are important features of a garden, but sadly they are often rarely used by the owner. Cups of hot coffee and drinks of cold lemonade require a relaxing, comfortable 'sitting setting', but normally the resident gardener is too hot, or too tired, or too impatient to select one. A good read demands a good seat, but much more is required than meets the eye - things like back support, not too much sun, not too much shade, a cushion which isn't wet or mouldy, dusty, or covered in spiders' webs, and so on. Naturally, visitors are encouraged to sit on the seats in the Moosey Garden. But beneath these restful and enticing structures lurk some rather sneaky hazards. 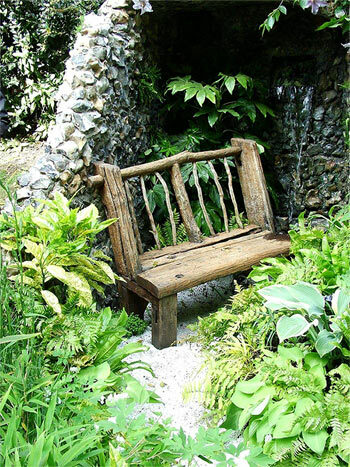 Seeing the appealing Wattle Woods garden bench, surrounded by a sea of green strappy rock lilies (Renga Renga), a potential garden sitter feels mellow and warm, safely enclosed in the delightfully lush and beautifully watered greenery. It is recommended, however, that splinter-proof trousers be worn. The small seat which nestles by the water race Dog Path is the perfect late summer spot. But good balance is essential, as the visitor needs to lean away from the Pink Iceberg roses (thorns - ouch!) without then being speared in the eye by the bronze waterside flax. And what about a swinging canvas recliner, complete with striped awning? Then there'd simply be no time to do any gardening! 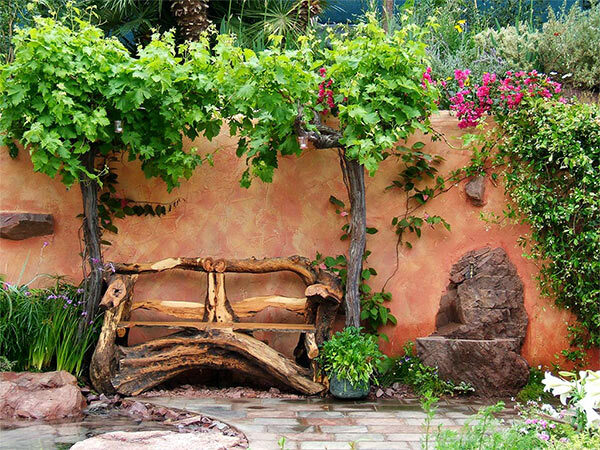 And that's the biggest problem for us busy gardeners who often experience garden-bench-envy - time! We are far too busy to sit, even to smell the roses! That secret woodland bench would have a wet seat and a wicked wobble, and we'd spill drink all over our library book. The rustic seat would break, and we'd get embarrassingly stuck in the white Cape Cod chair. Wrought iron, ironically, wouldn't look comfortable enough to entice us away from our gardening purpose. Finally, owners of lost or overwhelmed garden seats (camouflaged by excessive garden growth) can take heart! This caption (regrettably author unknown) underneath an overgrown, dilapidated garden bench photograph is firmly seated in the positive!